This view points toward Cold Mountain and the Shining Rock Wilderness. 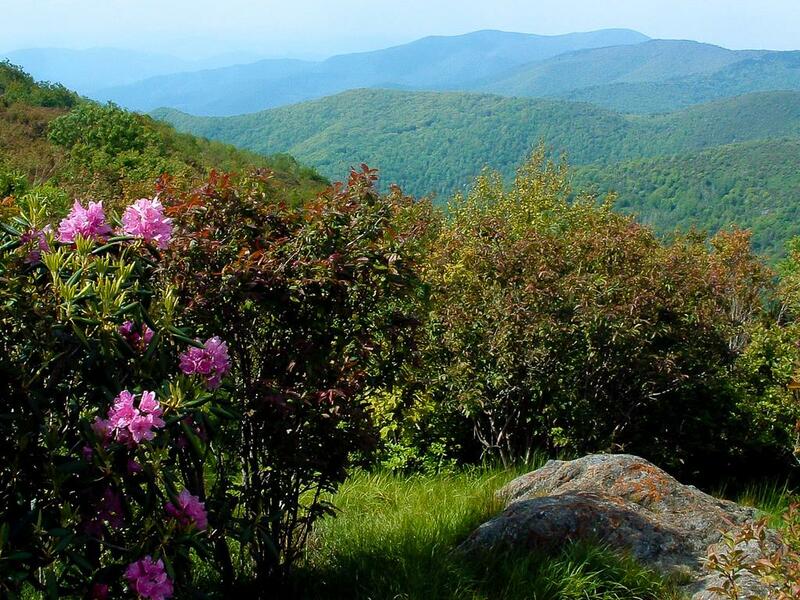 Popularized by a novel by Charles Frazier of the same name, Cold Mountain can be reached by following the Ivestor Gap trail out of the same parking area as this hike. It requires a strenuous trek over these ridges and passes Shining Rock along the way, which is just out of the photo on the right.